The luxury tented camp, ordinarily a phenomenon in safari country — India, southern Africa — has come to Mexico’s Caribbean coast. Here, however, it’s less a colonial relic than it is an evolution of the eco-lodge phenomenon, located in Xpu-Ha, on the Riviera Maya, midway between Playa del Carmen and Tulum. This is one of the world capitals of eco-hospitality, and the Serenity Eco Luxury Tented Camp gets you as close to nature as any of the region’s low-impact, sustainability-obsessed boutique hotels. Expectations of six-star luxury should be tempered a touch — again, this isn’t a thousand-dollar-a-night safari camp — but neither is a stay here any kind of hardship. These tents are no temporary structures; they come with king beds, en-suite bathrooms, air conditioning, and wi-fi. Some come with an additional queen bed to accommodate families, while others, the “Bliss” tents, have private jacuzzis on their terraces. The restaurant, Mystic, features an open-air tented dining room, and drinks are available both by the pool and at Serenity’s beach club. There’s also a spa, featuring massage, jacuzzis, and yoga instruction. 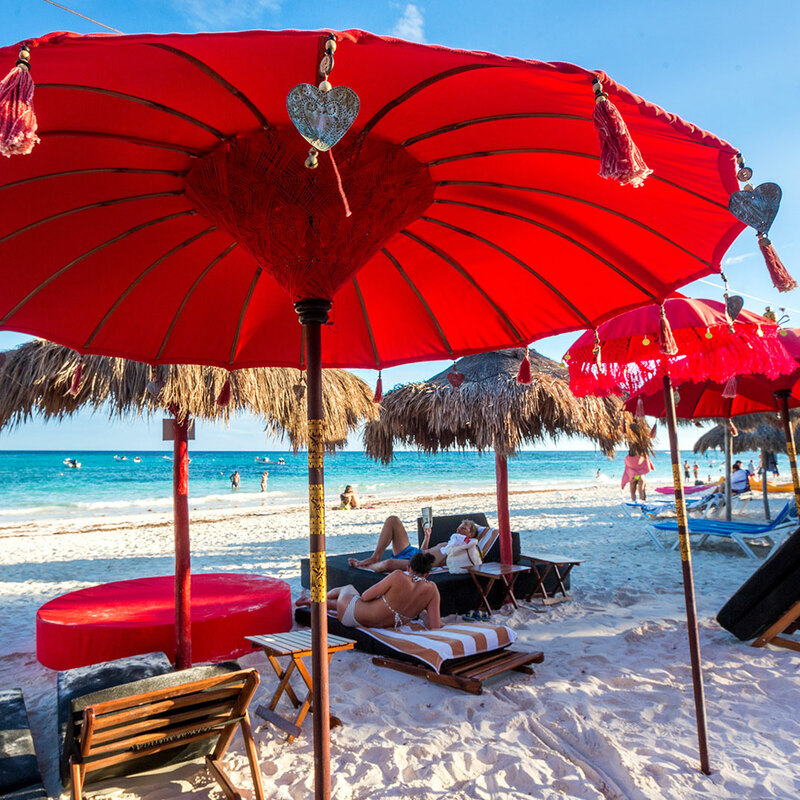 And the Riviera Maya offers plenty by way of excursions, from Maya ruins to cenote tours to all manner of diving, snorkeling, and water sports. Please note: Guests under the age of 12 cannot be accommodated at Serenity Eco Luxury Tented Camp. This hotel is going through our quality control re-assessment.